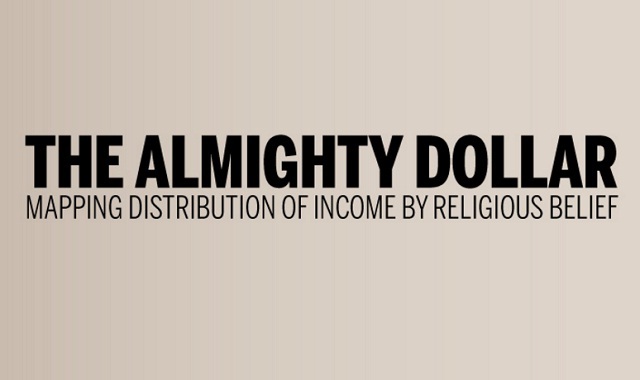 The Almighty Dollar #infographic ~ Visualistan '+g+"
Great infographic design starts at the content level. A good data set or narrative is the backbone of any infographic. 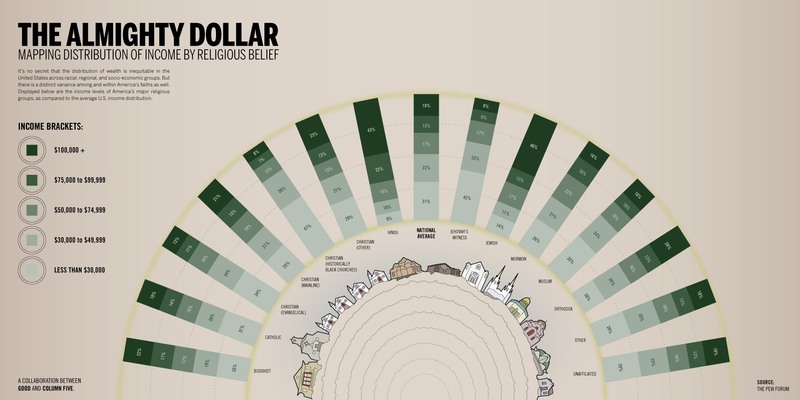 This infographic, produced by GOOD, examines income levels among different religious groups in the United States. With an unbiased approach, it does a fantastic job of visually presenting the data in a straightforward way—carefully opening up conversation around a somewhat touchy topic.